on march 2 and april 22 1959, miles davis, wynton kelly, paul chambers, jmmy cobb, cannonball adderley and john coltrane enjoyed two recording sessions at columbia records' 30th street studio, new york. those recordings were subsequently released on 17 august of the same year as 'kind of blue'. it has subsequently been referred to as the best-selling jazz record of all time. in fact, as i write this, the album is sitting at number one on the itunes jazz chart. i can think of few other albums of any musical genre that can lay claim to such popular longevity after fifty-seven years. the album was a considered follow-up to 1958's milestones, during which davis began his first experiments with so-called modal jazz. though many of you will be unfamiliar with the strictures of jazz composition and in most cases, could honestly care less, the music's improvisatory aspects had traditionally been based on a song's underlying chord sequence. davis's modal experiments effectively dispensed with those. his'kind of blue' compositions were based on sets of scales. while this change may not be the specific reason for the album's success, there's no denying it to be a major contributing factor. it would not, therefore, seem to be stretching credibility too far to refer to 'kind of blue', an album that was certified quadruple platinum in 2008, as a classic. in 2004, on having seen a rather striking white cycle jersey with a black hoop on the left sleeve in a july issue of the comic, i phoned rapha. as one who has often been able to convince himself that there are few, if any, aspects of the cycling world that slip by unnoticed, i was rather annoyed that i had not previously heard of mr mottram's new baby. and it was also hard to deny that the name had a strangely familar ring to it, subsequently found to be entirely without foundation. 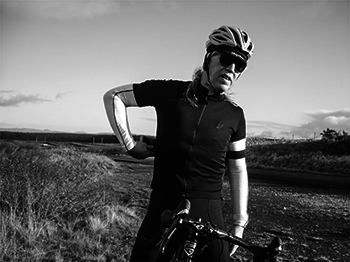 that jersey was the rapha classic jersey, available in short-sleeve only, in either black or white and built from a hitherto unheard of sportwool fabric. then, as now, the pricing was reassuringly expensive and it was over a year before i was able to afford my own rapha sportwool jersey, though sadly, not a classic. 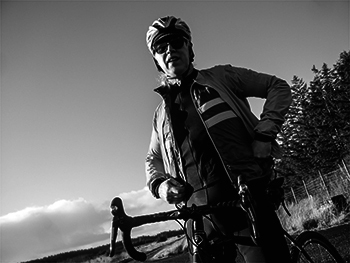 over the years, rapha's product range has ebbed and flowed, but ultimately displaying an ever-increasing product range, many of which endure for a season only, others which transmute into new and improved versions of the original. the classic jersey is amongst that latter number, but i believe i'd be correct in saying that it is the sole garment that has lasted from its inception in 2004 until the present day. and recognisably so. though it has yet to achieve the stamina displayed by kind of blue, the fact that 2016 has seen the latest update of the classic jersey, would rather point to its being on the right track. anything that continues to exert an influence on a contemporary market years after its origination, has surely earned the right to be considered a classic. 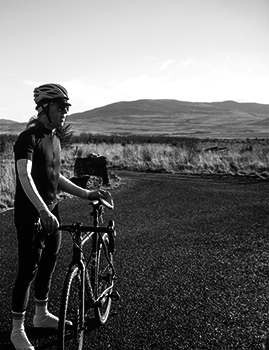 as a fledgling company, rapha was confined to specifying fabrics already available on the open market. those days are fast disappearing, evidenced most recently by the release of the new core range, one that is directly the result of a greater acquisitive stance enjoyed by imperial works. this state of affairs has markedly benefited the latest edition of the classic jersey. 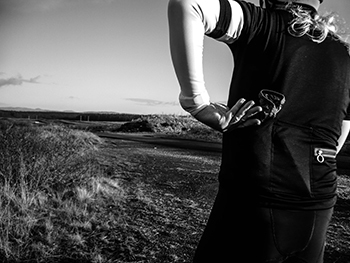 the white has gone; the range endures in black, navy, grey or purple, now constructed from a new merino-based fabric that continues the sportwool legacy by improving upon it. 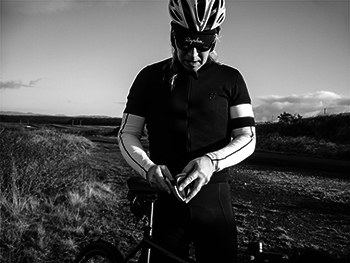 known as rpm150 it is, according to rapha, 'lighter, softer and more breathable' than its predecessor, a contention that is borne out in the wearing of. notable differences are the replacement of the inner pump pocket with a pump-loop, the formerly embroidered rapha logo on the left sleeve hoop now appears in debossed guise and the internal security pocket now features a stretch mesh. however, in the interests of sizing accuracy, the accompanying arm-warmers are no longer a part of the deal. but other than that, it's the same classic jersey that it ever was; the fit remains impeccable, the comfort all but immeasurable and it continues as an oft copied icon of simplicity and style. you can wear it with pretty much any accessory, jacket or gilet you care to mention and far from looking out of place, it confers a welcome je ne sais quoi upon them all. well, almost all. you just know that if miles davis had been a cyclist he'd have opted for the blue one.